Join the fight for stronger Genesee & Shiawassee Counties when you make your spring gardening purchases at Wojo's. 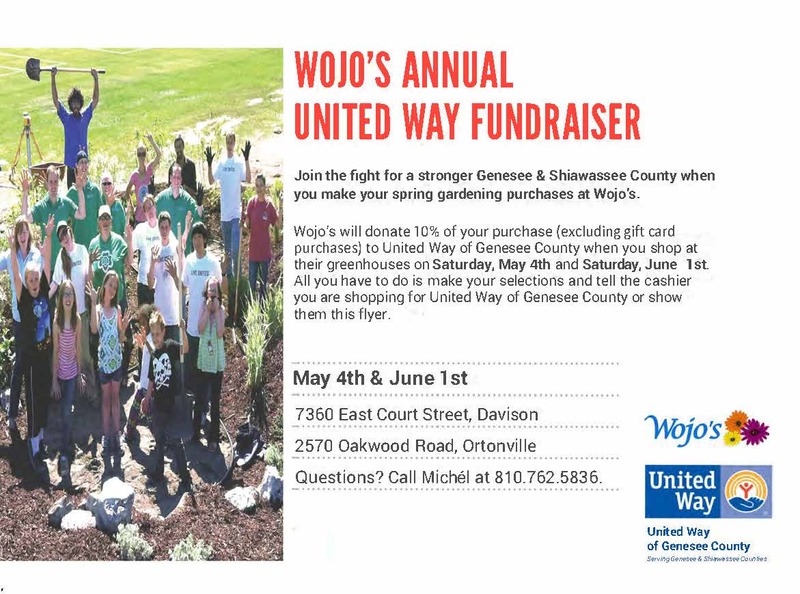 Wojo's will donate 10% of your purchase to United Way when you shop at their greenhouses on Saturday, May 4th and Saturday, June 1st. All you have to do is make your selections and tell the cashier you are shopping for United Way of Genesee County or show them this flyer on your phone. Thanks for supporting United Way of Genesee County!